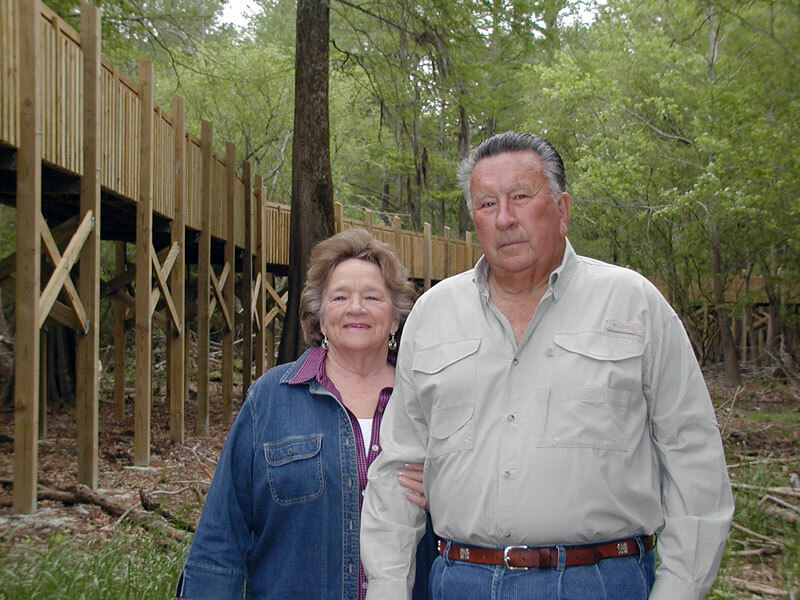 Funding for the project was provided by the Recreational Trails Program, a cooperative effort of the Mississippi Department of Wildlife, Fisheries and Parks and the Federal Highway Administration. 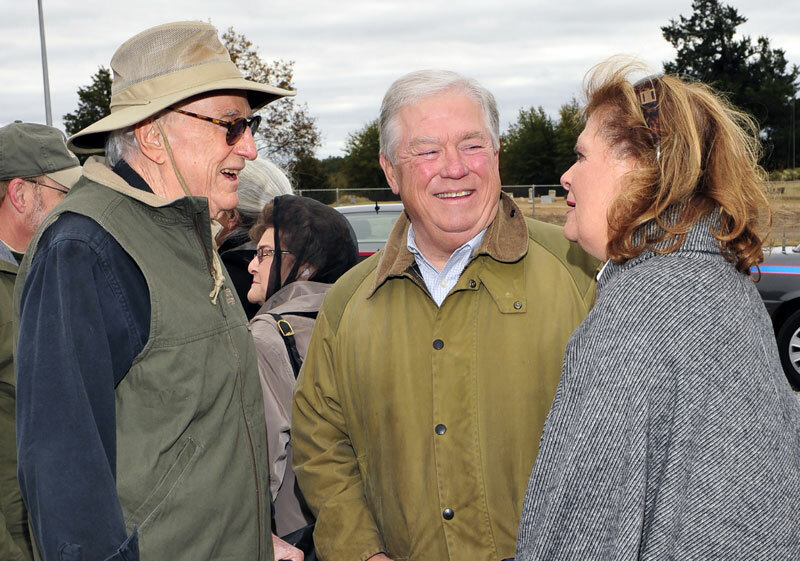 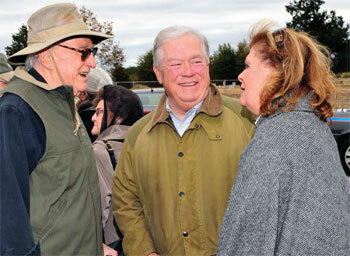 The Yazoo-Mississippi Delta Levee Board purchased 50 acres for the project, constructed one of the parking lots and funded the development of a paddling trail. 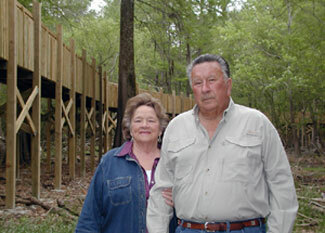 Pryor and Morrow Architects and Engineers designed the boardwalk. 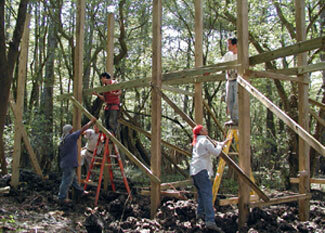 David Smith Construction Inc. built it. 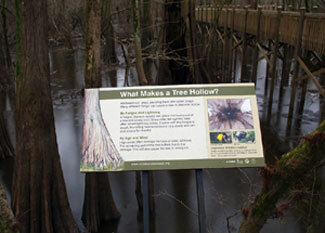 The boardwalk was built to blend into Sky Lake’s cypress-tupelo swamp as much as possible. 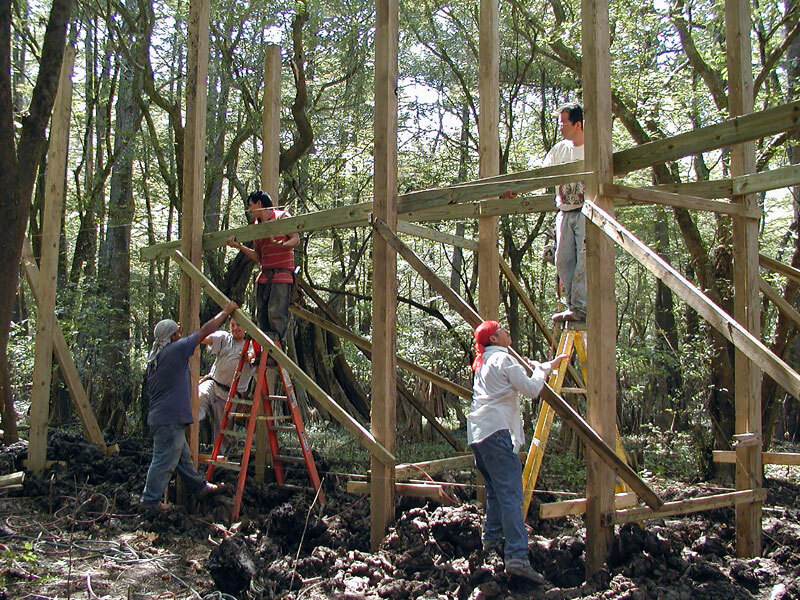 The boardwalk is 12 feet above the forest floor. 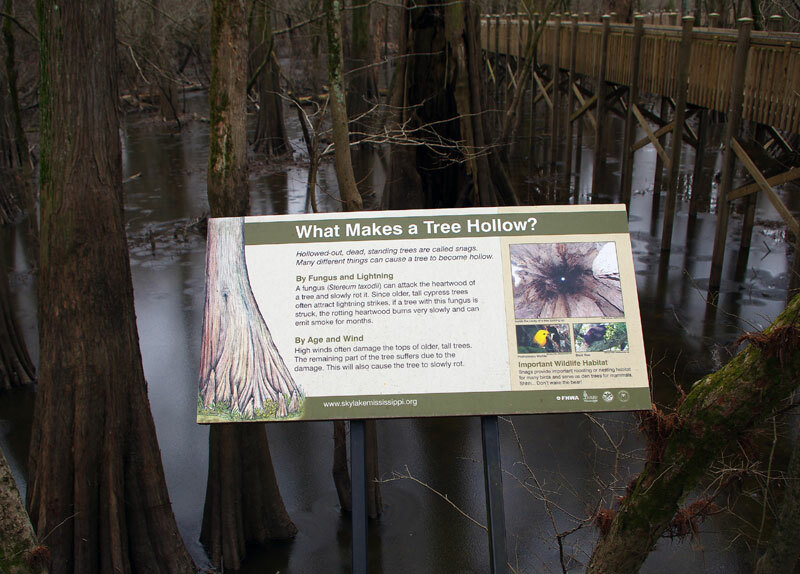 It allows visitors ample opportunities for photography and wildlife viewing and passes by the largest bald cypress trees at Sky Lake. 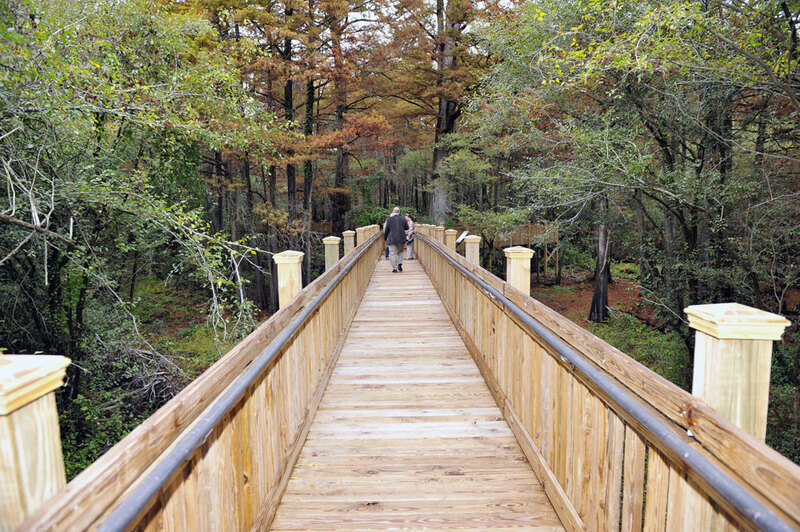 Additional amenities include an amphitheater, pavilion, restrooms, walking trail, paddling trail, sign-in kiosk and a headquarters/educational building.